We’ve been through the burger, food truck and FroYo craze — is it time for meatball madness? I would fully support more meatball-centric meals. Especially when it involves making your own masterpiece from meat choice to sauce selection. At The Meatball Shop, this is exactly what you can hope for when you sit down to supper. A casual arrangement of communal seating is set with laminated menus and dry erase markers for each diner to peruse and build their meal to taste. 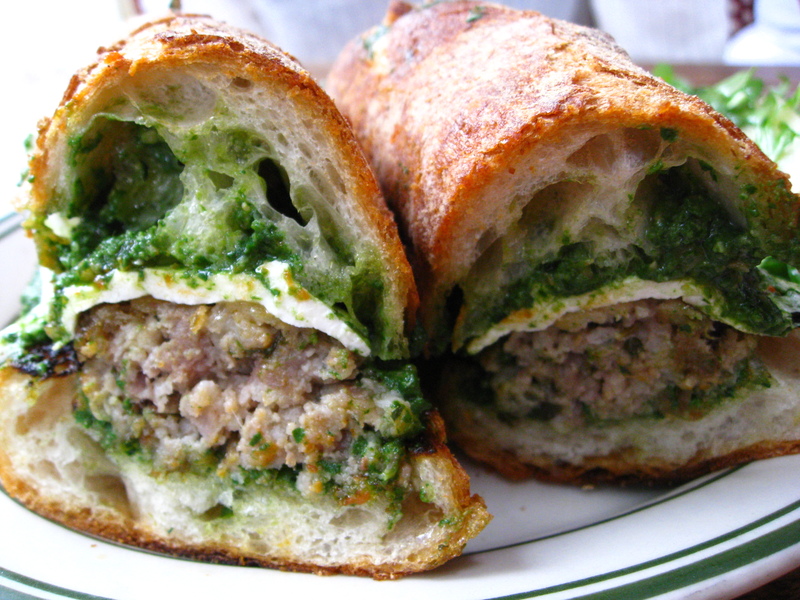 I opted for a white bread hero, sandwiching spicy pork meatballs, pesto sauce and creamy mozzarella. Any of these flavors and textures on their own would be well-received, but when you combine the fresh crusty bread with a perfectly seasoned tender meatball slathered in the bright herby pesto and creamy mozzarella, you’ve got yourself a handheld creation that you will crave again for days after. For smaller appetites build your flavors on a 1-ball “slider” or a 2-ball “smash”, but don’t forget to add the family jewels — a fried egg for an extra dollar and unparalleled meatball goodness. Yes! 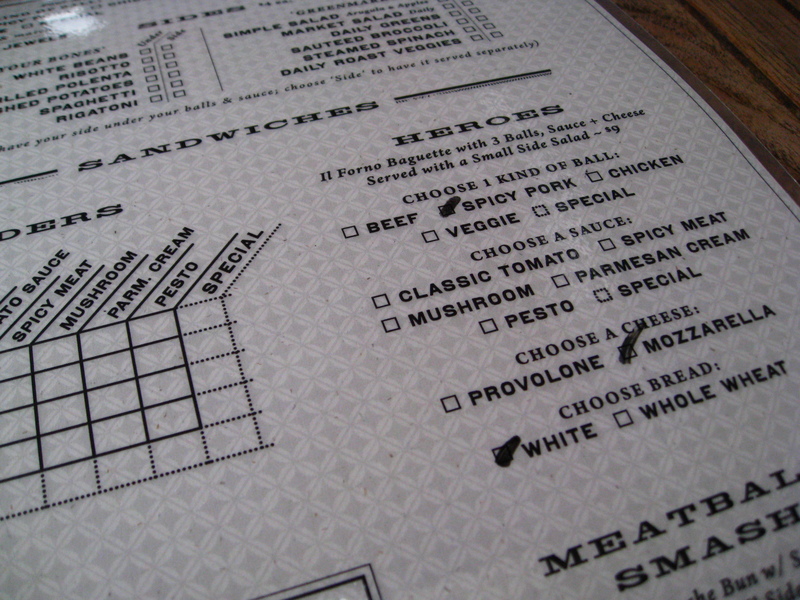 I went a couple weeks ago to the Williamsburg location, and it was very busy (and delicious). We ended up eating at the bar, which was perfect for interacting with neighbors and asking the bartender what to order. How did you dress your meatballs Peter? I had the “smash”, a couple of the classic beef meatballs on brioche, with the classic tomato sauce. I brought my own Wisconsin cheddar. So good. That sandwich looks deee-lightful! I think I might need to book an NYC 8ate@eight food tour!